grist :: it is kind of really important. When spinners talk about grist, I think many of us glaze over. My knee-jerk reaction to grist is, “Well, that sounds serious,” and then subsequently beetle off and do something else. But grist is actually really important. For me, the main reason that the grist of a yarn is so important is that I can plan how much fibre I need to complete a project. Grist is actually quite a simple calculation but I think the math tends to intimidate people. I’d like to spend some time breaking it down for you. Remember, if one were to knit a sweater with handspun, they would need different quantities of fibre to spin based on the grist of their yarn. Yes, this is all about worsted versus woollen spinning! 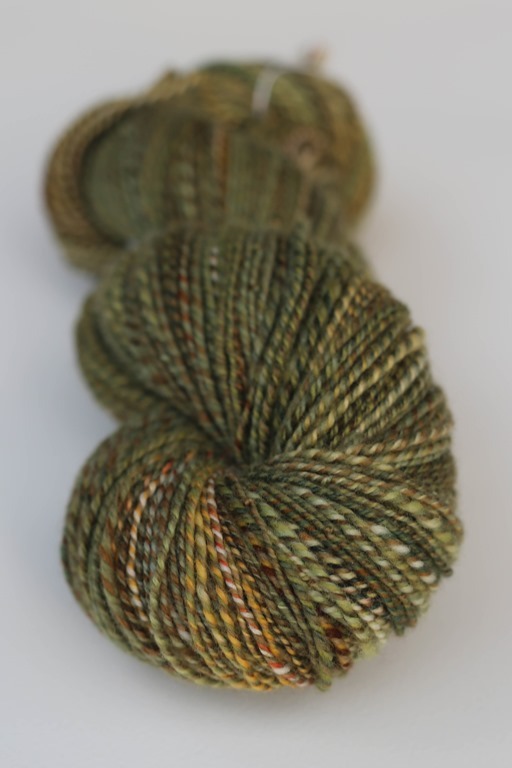 Also, there has been much chatter on a thread on Ravelry about handspun yarn and handspun looking like handspun. 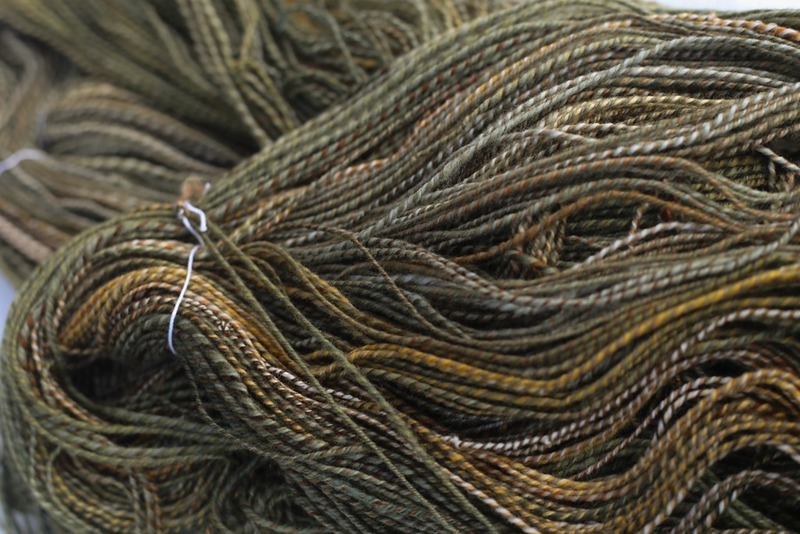 I don’t particularly want to touch that discussion with a ten foot pole but I would like to say that I think sometimes ‘beginner’ yarns can be identified as handspun immediately due to the heaviness and this is due to the grist of the yarn. Controversial enough yet? I sincerely hope not but I wish I had known a little more about grist when I was a knitter – I think it would have helped to inform my yarn choices and taken my knitting to another level! 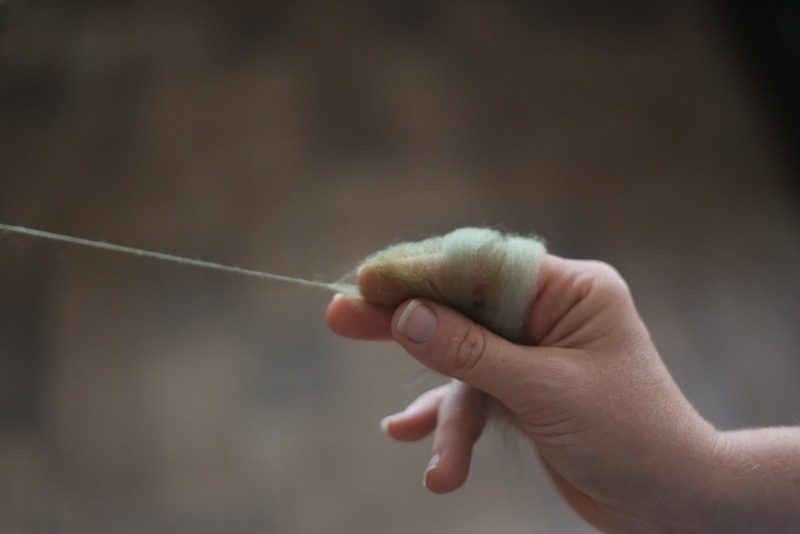 Yes, you can check grist of a store bought yarn quite easily – it is the same as checking your handspun. The fibre pictured above was a combo spin that I recently completed. My plan for this fibre was to spin a traditional 3-ply, from the fold with the tip of my finger pointing to orifice of the wheel and using a short forward draft but allowing the twist to enter the drafting zone before going back to my fibre supply to draft again. Confused yet? Jacey Boggs shows this draft beautifully in the Craftsy class, Drafting from Worsted to Woolen. Shown here, spinning staple length by staple length, from the fold. My finger was pointing at the orifice of the wheel the entire time. See the center of the thread-like web coming off my finger? That’s the core of woollen yarn :: Air. 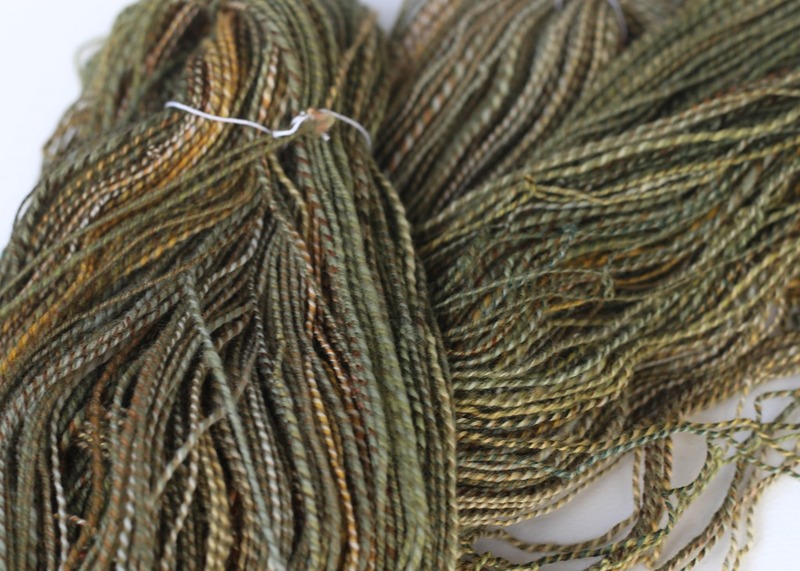 For interest sake, let us say that I have spun a worsted skein and it is also 14 WPI. What is the difference? Seems like they would be pretty similar, right? Well … Yes … and no. Not at all. If we are looking at purely knitting gauge and that’s all we care about, then we are finished here. But, how much fibre will we need for our project? That’s when things start to get interesting*. *I’m not going to go into a discussion in this post about worsted versus woollen yarns, their uses and characteristics. That’s for another post, for another time. I’m discussing grist today only. When I pop the same length of yarn onto the scale, things start to look quite different. Let us say that the worsted yarn was 300 yards in length and weighed 190 grams. The semi-woollen yarn here is 445 yards in length and weighs 190 grams. This is due to the air that is in woollen yarns. They tend to be lighter, loftier and airy. 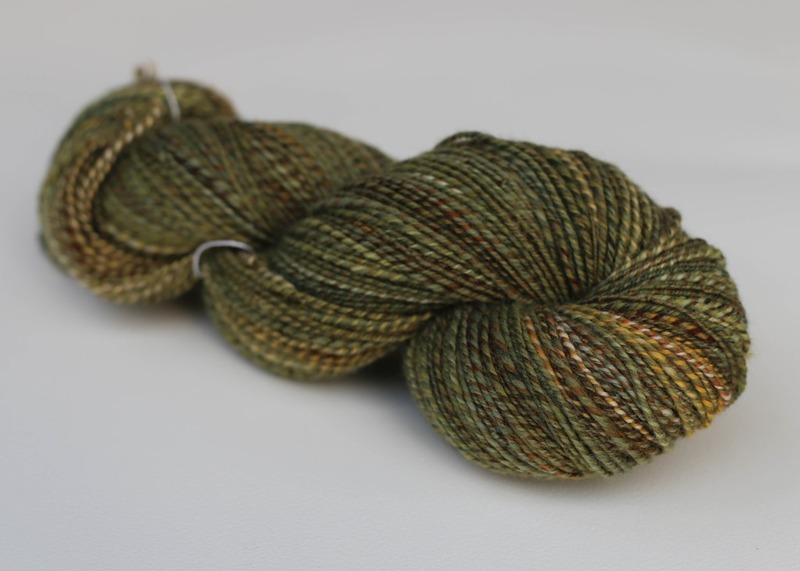 Worsted yarns are denser, stronger and can have a lovely sheen from the parallel fibres. In order to visualize this, think of yarn as having a core. In a woollen yarn, the core has lots of air in it. In a worsted yarn, the core has fibre that we’ve smoothed down during the drafting phase. Worsted yarn is denser and lower in yardage per pound but it is wonderfully smooth yarn for great stitch definition (think cables and lace). 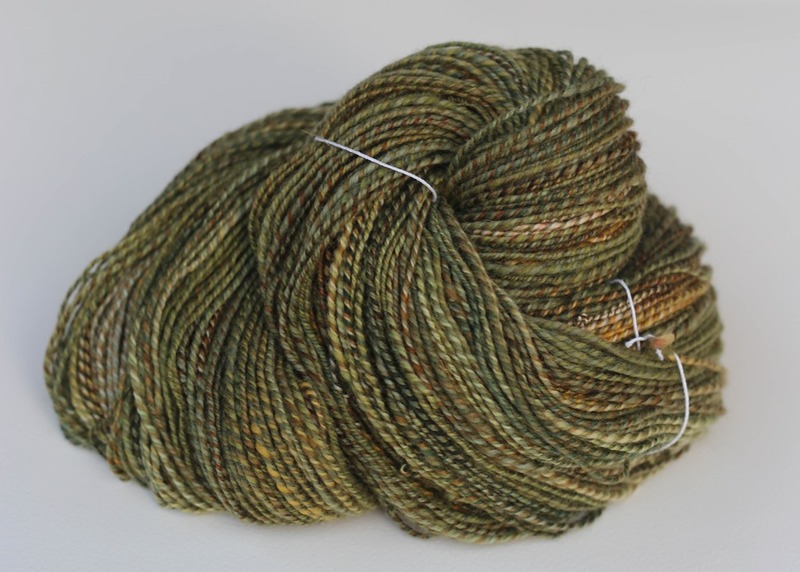 The woollen yarn is airy, fuzzy and light which is warm! One note of caution here :: Remember to set the twist in your yarn prior to calculating your finished length since it will usually relax and shorten once you wash it! I think with a little bit of planning, some relatively simple math and a little bit of extra fibre (I like to add ~10%), a much more relaxed spinning experience happens when I plan larger projects. I’m not worried about having enough fibre to achieve my targeted yardage. Instead, I’m focused on the spinning, relaxing and enjoying the process. Thank you, Rachel! This is just where I am at. I got comfortable with long draw during Spinzilla and now I feel like I will really be able to spin with intention to knit. I’m so glad! I think it’s definitely a topic we shy away from as spinners but it’s really important!! Wow. This is very helpful. Thanks? Where did that question mark come from. Bad computer. I mean Thanks! Haha our computer’s sometimes have mind of their own!! Thank you though! :) I’m glad it helped! Thank you, Rachel, for an outstanding explanation with clear examples of how to calculate grist. Well done! You are so welcome Mary! Love this post Rachel! I’ve always avoided this field on my Ravelry spinning page because I had no idea what it was asking for. I did a Google search and your post was the first link. You made it simple and a lot less scary than it sounds. 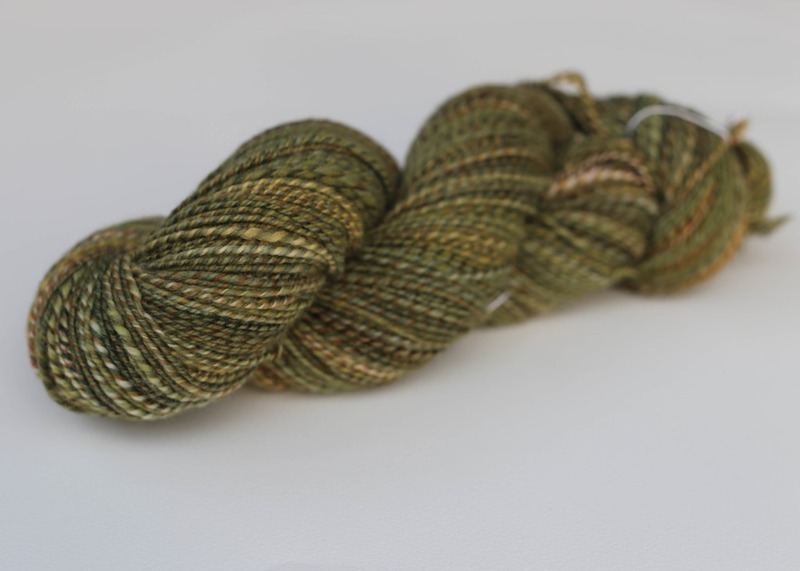 And, it helped me realize I don’t have enough fiber in stash for the project I intended. Thanks again! I need to study this in detail. My mind got stuck at 14WPI=28 SPI. I was expecting it to be ~7 SPI. Thank you, Rachel. Could you explain 453.592 ? Why that number? It’s just the conversion to yards :) I usually measure my yarns in YPP but you don’t have to convert – you could leave it as grams per pound if you’d like! You’re welcome! It’s such a huge learning curve, isn’t it?! I hope your spin goes well!! Make sure to sample enough so that you get accurate girst numbers — that’s really key! !